Designing an API is complicated to begin with, but evolving your API design over time makes the process even more difficult. 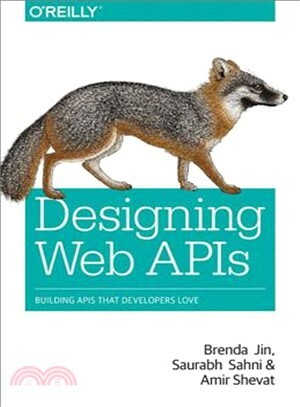 There are several books on the topic, but none that guide you through key decisions for designing and building APIs for specific audiences and types of products. Well, until now, that is. Using case studies from companies such as Slack, Stripe, Facebook, and Github, this practical guide shows you how to navigate complex decisions when building, scaling, and evolving your own APIs. You’ll learn best practices for designing APIs that developers will love, and discover how to evolve your APIs as your product grows. Brenda Jin is a Staff Engineer at Slack, where she is the Tech Lead for API consistency. She designed and built the first ever group-based RESTful DLP/eDiscovery APIs for Slack’s Enterprise Grid. Before Slack, she was a UI Developer at Macys.com, where she designed APIs to create Macys.com’s first ever responsive shopping experience. As a Board Member and Chapter Leader for Girl Develop It (GDI), Brenda has contributed numerous open source teaching materials, empowering thousands of women to learn web and software development. Amir Shevat is the Head of Developer Relations at Slack and the O’reilly author of Designing Bots. Amir has spent the last 15 years building ecosystem of developers around APIs at Microsoft, Google, and today at Slack.